John Swales Performance Horses is located west of Millarville, Alberta in the foothills of the Rocky Mountains. We are very excited to unveil our new facility! We, John & Deanne, along with our boys, Tyree, Lane and Levi, are very excited to announce the building of our new facility west of Millarville, next to our home. Our home place is located amidst the Ball ranch. This ranch was originally settled by Deanne's Great Grandfather, Arthur Ball, and Grandfather, Fred Ball. Currently, Deanne's parents, David & Jody, along with her brother and his wife, Luke & Laura, run a fourth generational cow-calf operation. Growing up, Deanne, along with siblings, Shanna, Luke and Danielle, were always taught the importance of land stewardship and working together as a family. It is with similar values we take great pride in finishing our facilities. Since our family has grown we look forward to commencing business at our home place where we hope our children can be blessed with the same supportive & nurturing upbringing as we were so fortunate to have ourselves. Our brand new facility offers the best in comfort for your equine athletes, including soft stall mats, indoor heated barn and spacious turn out pens. 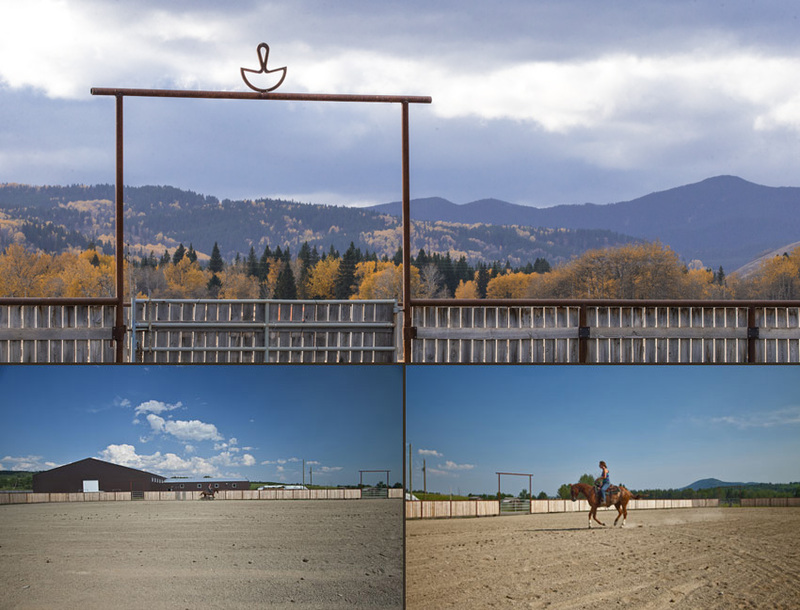 The riding arenas allow optimal preparation for showing in the large pens used at NRCHA premiere events, including a 300 x 120 outdoor pen equipped for reining, roping, cutting and fence work, as well as an indoor 90 x 120 arena ideal for working cattle and/or the flag when weather is not cooperating.